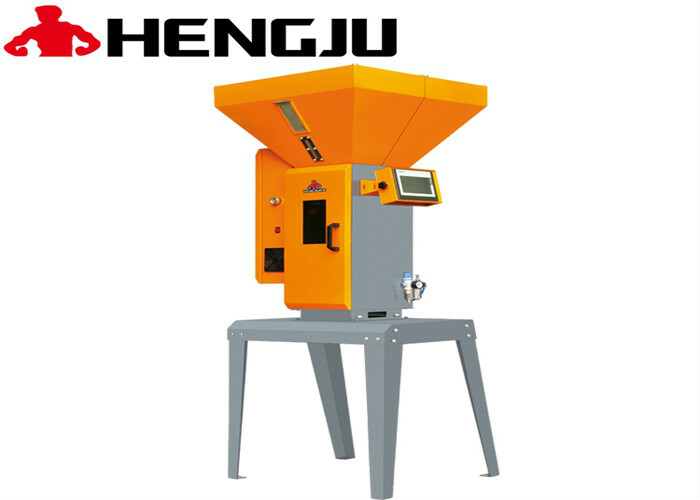 Weighing Mixer_Dongguan Hengju Machinery Equipment Co., Ltd.
1. The modulized components can be disassembled for easy cleaning. 2. The adopted PLC panel shows reliable performance and easy maintenance. 3. The adopted functions such as advanced algorithm of controlling, autonomous optimization, automatic calibration and anti-vibration, can ensure the highest accuracy. 5. Touch screen operation is achieved with multiple languages option and diagrams with colors. 9. With sound and flash alarm, operators can be informed shortly and evidently for reparation. 11. The gravimetric blender can be directly mounted on the injection machine or optional stand frame near the injection machine. Hopper low material level alarm switch. Pneumatic slide gate(adapted for injection machine mounting models). Floor stand frame, pneumatic slide gate, storage tank and suction box are adapted for floor mounting models. Ethernet interface,MODBUS,PROFIBUS communication modules, can fulfill the remote monitoring.They can also transfer data with extrusion machines and injection machines.